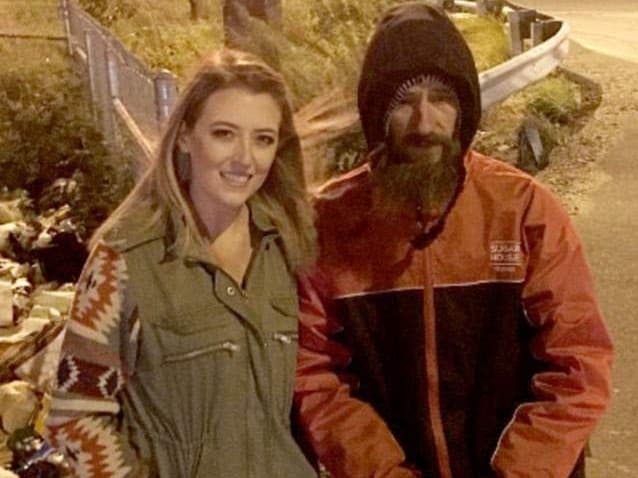 Mark D’Amico and Kate McClure have been arrested for conspiracy after creating a GoFundMe account for “homeless veteran” Johnny Bobbitt that reached slightly over $400,000. But Bobbitt is now also accused of being in on the scam from the beginning…it was all allegedly a fake. Police say that McClure, D’Amico, and Bobbitt conspired together to scam people into donating the $402,000 that was raised by the GoFundMe account. All are facing charges of theft by deception and conspiracy in the scheme that police say was cooked up in 2017. D’Amico and McClure turned themselves in Wednesday to Burlington County prosecutors, the source said. The source did not confirm whether or not Bobbitt turned himself in as well. A lawyer for the couple had no comment Thursday. NBC10 has also reached out to a lawyer for Bobbitt for comment. The three initially gained fame in 2017. The couple claimed Bobbitt used $20 to help McClure get gas when her car ran out on Interstate 95 in Philadelphia. McClure and D’Amico then launched a GoFundMe page to supposedly raise money for Bobbitt, and the page brought in over $400,000 from 14,000 contributors. The whole situation moved from what sounded like an altruistic helping to Bobbitt accusing the couple of not giving him the money raised. It became a he said-they-said fight between attorneys over money, which soured the whole plan. Police confiscated a BMW that D’Amico purchased. They bought Bobbitt a camper and parked it on some property McClure’s family owned.But the whole time, police are saying it was a scam created to bilk people out of their money. The problem with GoFundMe or any other crowdfunding accounts is that things like this can easily happen. Good causes, and particularly veteran causes are ones that tug on the heart strings. But it’s buyer beware these days.